Electric Car Credit – If you purchase an electric car as a holiday gift for your spouse or even yourself, you will find that most come with a tax credit of up to $7,500. To qualify to claim the credit on your 2018 tax return, the car will have to be “placed in service” by December 31, 2018. So merely ordering the vehicle, even if payment for it is made at the time when the order is placed, won’t be enough – you will need to receive the car and start using it before New Year’s Day. But before you leap, you should know that the credit is non-refundable, meaning it can only offset your actual tax liability and that any excess credit over your tax liability will be lost. There is, however, an exception when the electric vehicle is used partially for business, in which case the portion of the credit allocated to the business use will become a general business credit that is carried back one year and then carried forward. Solar Electric Credit – If you and your spouse or other resident of the home decide to make a gift of a home solar system to each other, you will qualify for a non-refundable tax credit equal to 30% of the cost of the home solar property. If your tax liability is less than the credit, the excess credit can be carried over to a future year. The solar credit is available to all residents of the home, even if they do not have an ownership interest in the home. Example: A mother and son live together in a home owned by the mother. The son purchases a solar system; as a result, the son gets the tax credit, since he resides in the home. Caution: To claim a credit for the system’s costs on your 2018 return, the installation must be completed by December 31, 2018. College Student Supplies – If you have a spouse or child attending college, the costs of certain course materials qualify for the American Opportunity Tax Credit (AOTC) if the course materials are needed as a condition of enrollment and attendance. Thus, for example, if a computer is needed as a condition of enrollment and attendance at the college, the computer’s cost would qualify for the AOTC of the individual who claims the student as a dependent. Other requirements apply to claim the AOTC; check with this office for details. Work Equipment – If your spouse is self-employed and you purchase tools or electronics used in the spouse’s business, the costs of these items will qualify as a business tax deduction on the return for the year the equipment is put into service. Charitable Gifts – Of course, contributions to qualified charitable organizations can be deducted, provided you itemize your deductions. If you are over age 70.5 and have not taken your required minimum distribution (RMD) from your IRA account for 2018, you might consider making direct transfers to the charities of your liking, thereby satisfying your RMD requirement while avoiding taxation of the distribution. Contact your IRA custodian or trustee to arrange the transfer. Some words of caution about charitable contributions during the holiday season: When you are shopping at a mall and drop cash into the holiday kettle, you won’t get a receipt for your contribution, and a cash charitable contribution cannot be claimed as an itemized deduction without documentation. The same goes for buying and then giving new, unused toys to what have become very popular holiday-toys-for-kids drives. Tip: Save the purchase receipt for the toys and request verification of the contribution from the sponsoring organization. If the drop point is unmanned and it is not possible to obtain a contribution verification from the organization, the IRS allows a deduction of up to $249, provided you document the purchase of what you’ve donated. Also, during the holiday season, all of the scammers climb out from under their rocks and do their best to trick you out of your well-intended contribution dollars. Be cautious, and make sure your contributions are going to legitimate charities. Employee Gifts – It is common practice this time of year for employers to give employees gifts. 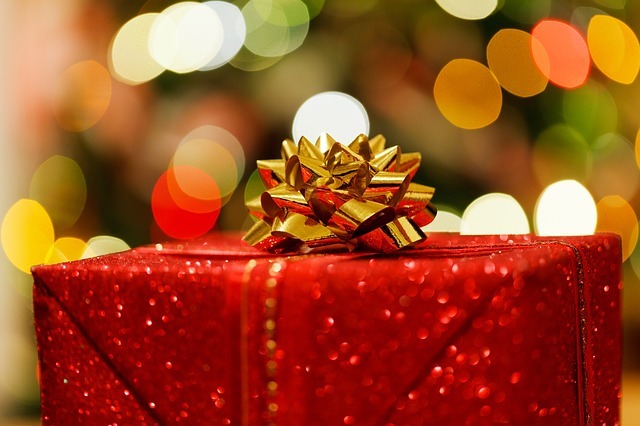 If the gift is infrequently offered and has a fair-market value so low that it is impractical and unreasonable to account for it, the gift’s value would be treated as a de minimis fringe benefit. As such, it would be tax-free to the employee and tax-deductible by the employer. A gift of cash, regardless of the amount, is considered additional wages and is subject to employment taxes (FICA) and withholding taxes. Caution: If the gift recipient is a W-2 employee, the employer may not issue them a 1099-MISC for a holiday gift of cash; the amount must be treated as W-2 income. If an employer gives gift certificates, debit cards or similar items that are convertible to cash, their value is considered additional wages, regardless of the amount. However, if the gift is a coupon that is nontransferable and convertible only into a turkey, ham, gift basket or the like at a particular establishment, then the gift coupon would not be treated as a cash equivalent. If you have questions related to the tax benefits associated with holiday gifts, please give us a call.